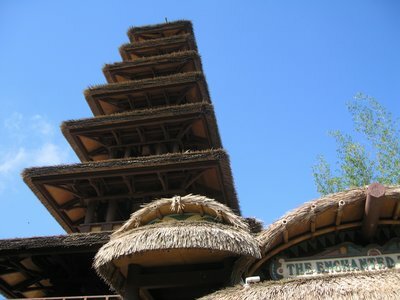 Located in the Adventureland area of Magic Kingdom, the Tiki Room sits in the Sunshine Pavilion, whose 9-tiered tower is a centerpiece of the Adventureland hub. Both the outdoor preshow and the indoor performance include both Hawaiian-themed and popular music from the era when the attraction debuted. Opening its doors for the first time in 1963, the original Enchanted Tiki Room at Disneyland in California, and was the first entirely audio animatronic show created by Disney. 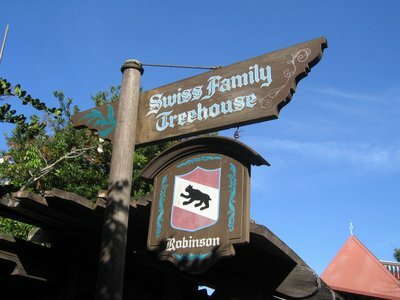 The show was very popular when it opened, capitalizing on exciting new animatronic technology as well as a widespread Polynesian fad. 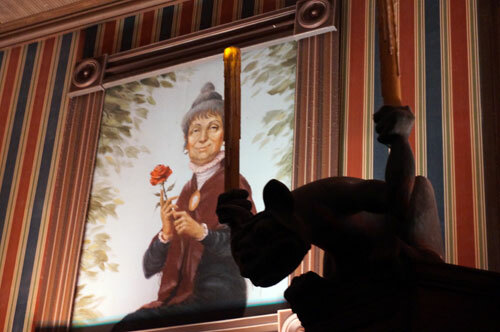 It would pave the way for later audio animatronic extravaganzas such as the Carousel of Progress and the Country Bear Jamboree. 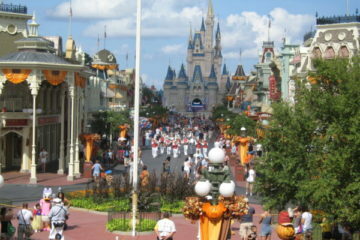 A near exact replica of that original show debuted at Magic Kingdom’s opening in 1971 under the name Tropical Serenade. The Magic Kingdom show underwent some renovations in 1998 that saw the addition of a couple of characters from well-loved Disney films: the devious parrot Iago from Aladdin and the sanctimonious toucan Zazu from The Lion King. Disney gave the re-worked show the name Enchanted Tiki Room (Under New Management). The Enchanted Tiki Room is easy to spot in Adventureland – just look for the huge tower. 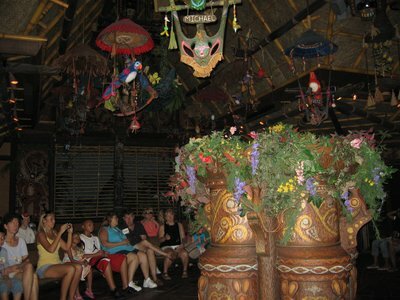 Very recently, in 2011, the Enchanted Tiki Room was renovated once again. 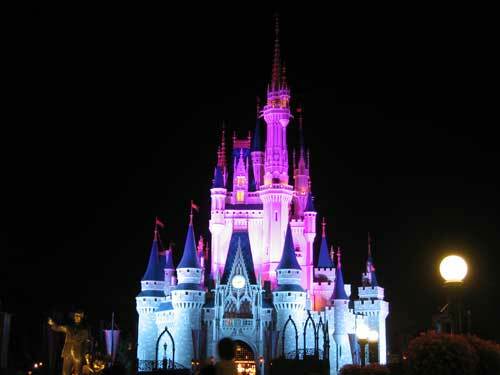 The new show is now the old show, having been restored to the original Disneyland form in almost every respect but with remastered audio, and new control and lighting systems. Since the new show now contains most of the original ideas formed by Walt Disney and his Imagineers during Disneyland’s construction, it has been given the name Walt Disney’s Enchanted Tiki Room. Around 200 audio animatronic birds perform at the Enchanted Tiki Room, accompanied by a variety of tropical flowers and carved wooden tikis. The Sherman Brothers, who wrote some of the best-loved songs from the Disney repertoire, contributed the song “Tiki Tiki Tiki Tiki Room”. This tune, along with the song “Let’s All Sing Like the Birdies Sing,” forms the core of the show. The finale is a version of the song “Hawaiian War Chant” written in the 1860s. The entire room comes to life with song, color, and action. True Disney aficionados should be sure to give Walt Disney’s Enchanted Tiki Room a visit. 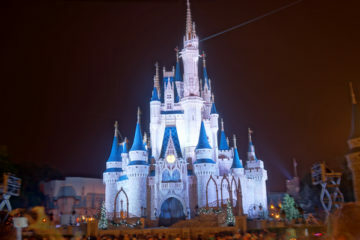 The show has become a Disney classic, both for the use of Disney patented audio animatronics as well as the involvement of Walt Disney in the planning and design of the attraction. There are so many characters and small details at the Enchanted Tiki Room that visitors old and young are likely to enjoy the show for one or many viewings. The songs and dancing are likely to entertain small children, while adults are more likely to appreciate the craftsmanship. 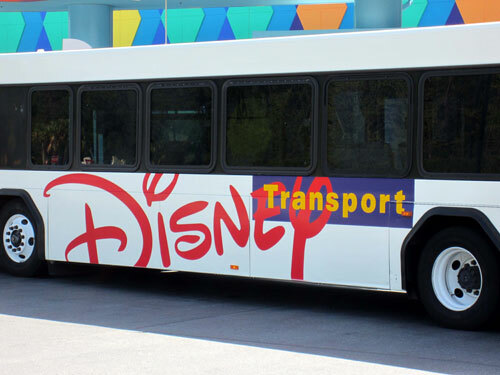 However, this is certainly not the most exciting attraction to be found at Magic Kingdom, so older children or teenagers might not enjoy it quite as much. The Tiki Room song is catchy! Try visiting Walt Disney’s Enchanted Tiki Room during the middle of the day when the heat is at its worst. The lines are rarely very long, and the round indoor theatre is a cool and refreshing place to take a break from the Magic Kingdom crowds.